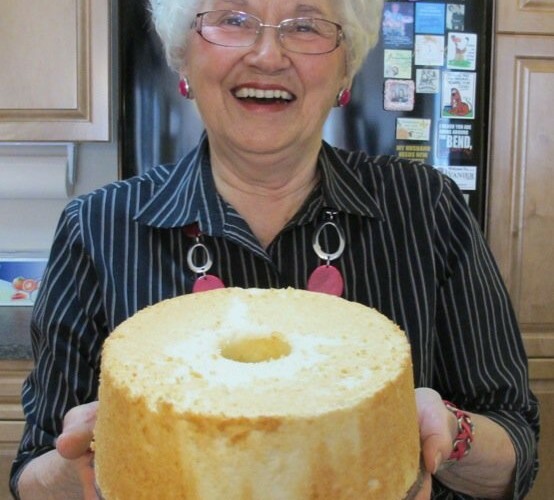 My cherished Canadian food recipe is, without question, my great-grandmother’s homemade angel food cake. Not only because this is the most delicious delicate moist cake in the entire universe, but because of the story my mother told me about the first angel food cake she could remember in our family that was baked in the middle of the summer in the hot Alberta prairie sun, in a dishpan with a quart sized canning jar set in the middle, for my great grandmother’s 50th wedding anniversary in 1940. 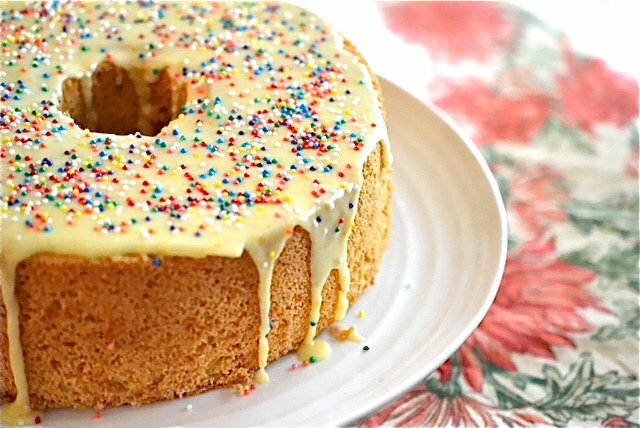 This recipe has been with the family for over 100 years and my mom actually had a photo of that anniversary cake which is included in my post. 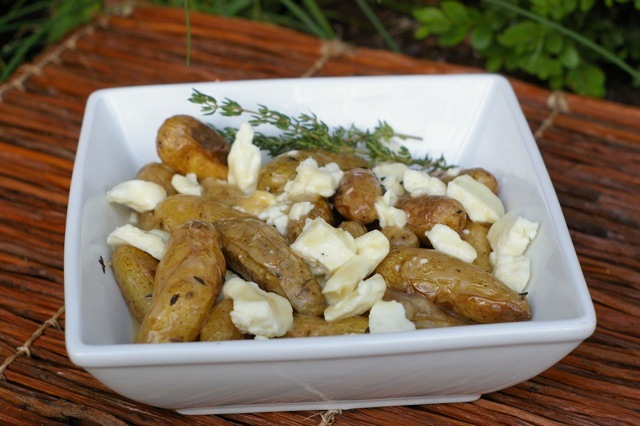 As we embark upon the fourth challenge of The Canadian Food Experience Project, this is the one topic I have looked most forward to: your most cherished Canadian food recipe. As a school teacher for about a thousand years, it broke my heart to see some students bring me gifts on special occasions and others embarrassed as they could not afford to. That is when I made gift giving mandatory. Everyone had to bring a gift for me every Christmas, and it was to be the family’s most cherished recipe: the one everyone asks for when your mother or father make it at home. Reading those recipes every year enabled a focused clarity about the lives of each of these young people that could not be learned within the confines of the classroom. That is also the purpose of this project and this specific topic. By revealing what food, food experiences and recipes we cherish as Canadians, we enable a clarity to emerge that has too often been blurred or misunderstood. This is our Canadian food. This is what Canadian food is. 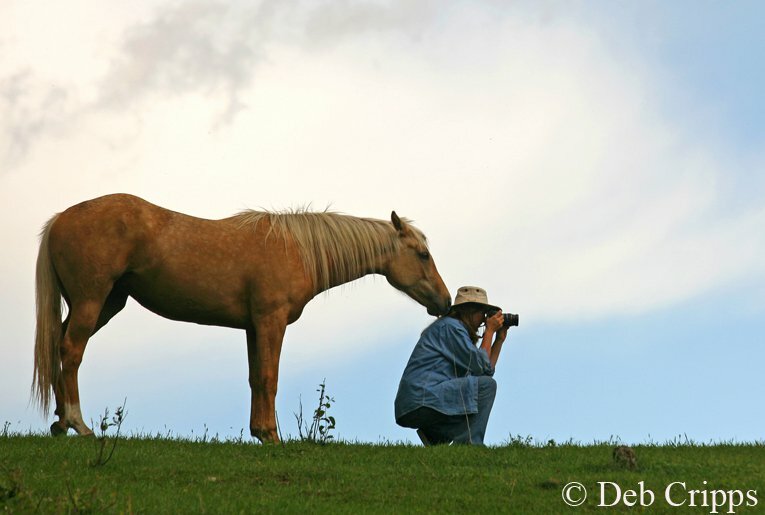 It is my hope that all participants who have not yet contributed to this round up will do so. This challenge will be one that readers will come back to time and time again, as we place our finger on the pulse of the food within the homes of our nation, and continue to create and re-create cherished Canadian recipes at home. Now back to the gorgeous opening photo. 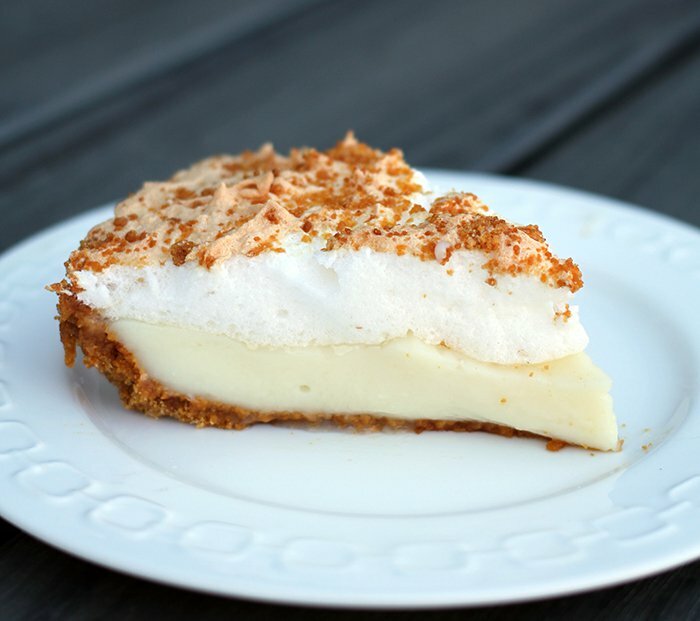 Nicole at Culinary Cool from Regina, Saskatchewan, writes about Flapper Pie made with a graham cracker crust, a sweet vanilla custard and topped with fluffy meringue. 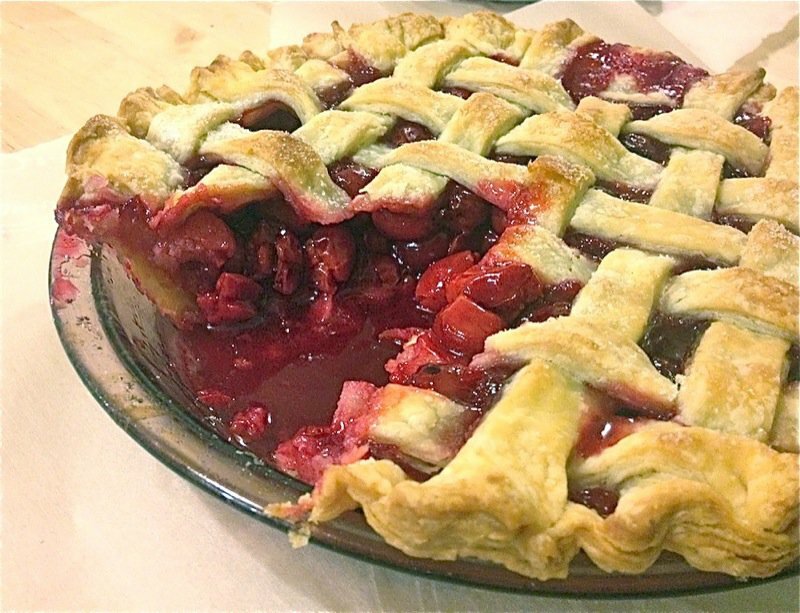 You may not have heard of Flapper Pie before because it’s unique to the Canadian prairies, but it’s been a tradition in her family for decades! 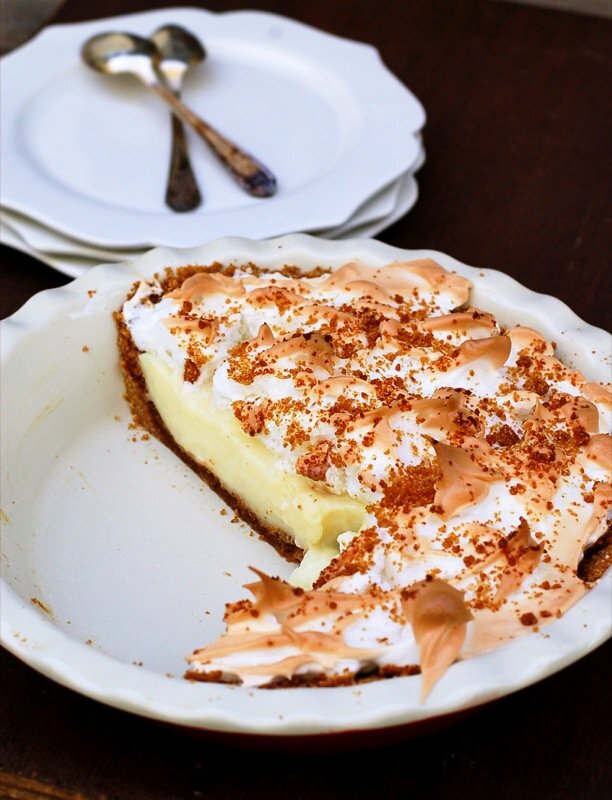 Charmian at The Messy Baker from Guelph, Ontario explains “My most cherished Canadian recipe isn’t the one my family makes the most. Instead, it’s the one only I am willing to take the time to bake and involves a fleeting Canadian ingredient: Concord grapes. 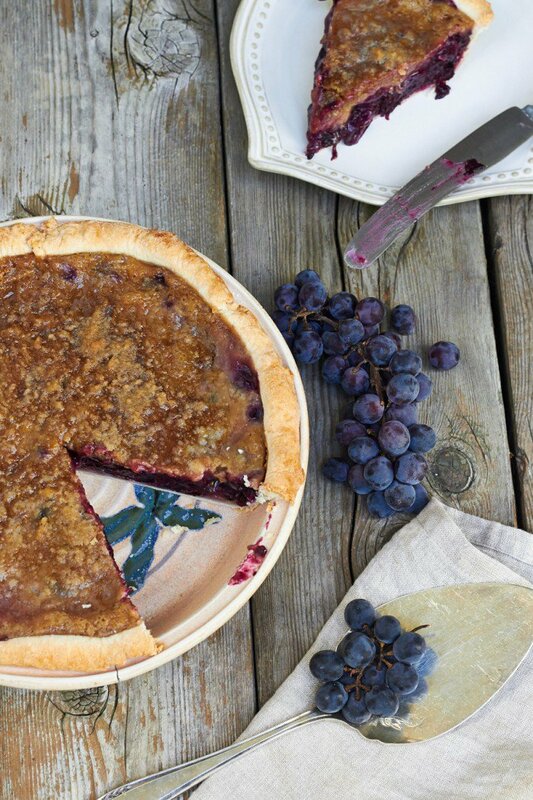 With no year-round import alternative, these truly are a seasonal treat that captures the intensity and beauty of a Canadian autumn.” Concord grapes are one of my favourite delicacies and I can only imagine how decadent and delicious a pie made with them would be! Another recipe on “the list”. 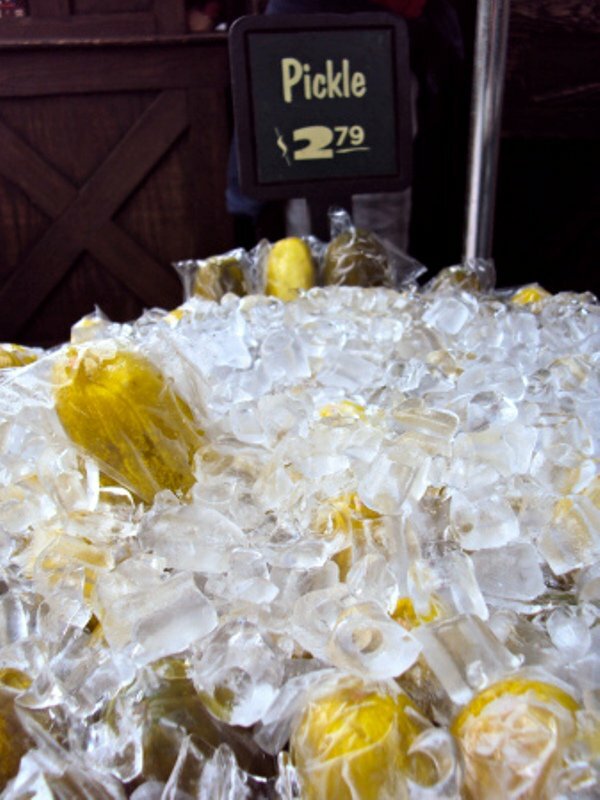 These are still in season now, and I am getting them from the market this weekend! 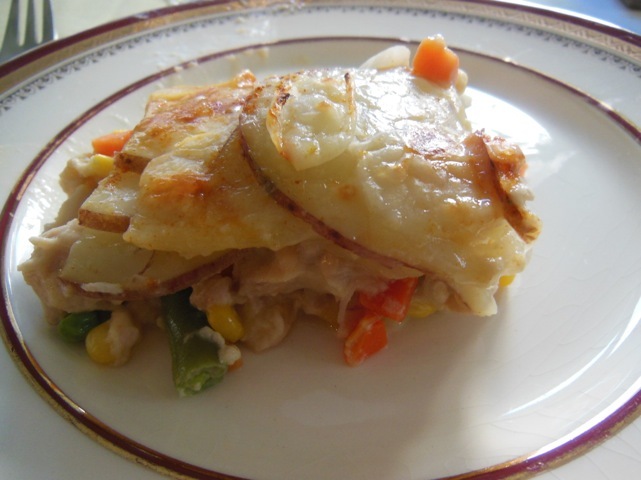 Dale at Eats Writes Shoots from Ottawa, Ontario, recalls a cherished recipe from his childhood and family. 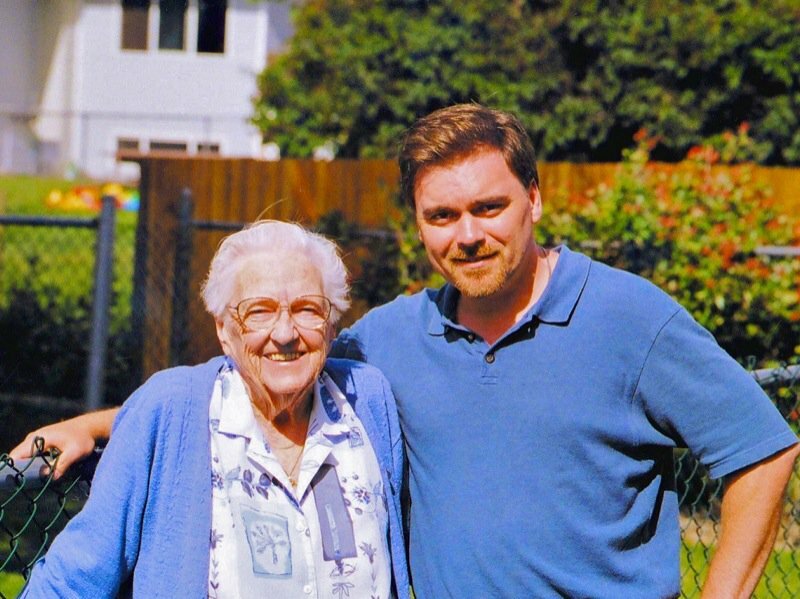 His grandmother is the reason this recipe is so important to him. Dale includes his recipe for Grandma Soup and a love that provided him his most important nourishment. Korena at Korena in the Kitchen from Shawnigan Lake, Vancouver Island, British Columbia writes about making pie and shares a recipe for her favorite pastry adapted from Canadian Living, whose cookbooks and magazines have been a heavy influence since childhood on her interest in food and knowledge of Canadian cuisine. 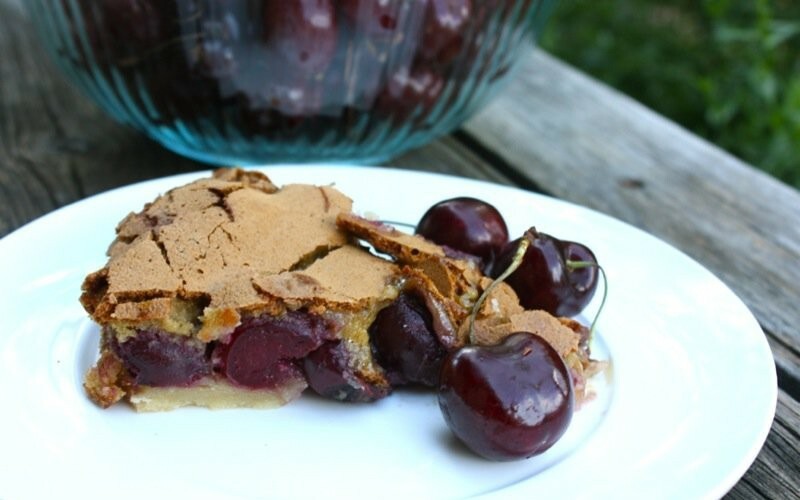 Margaret at Kitchen Frau from Stony Plain, Alberta, writes about something else to do with the bountiful harvest of Evans sour cherries. These tart and tasty cherries originate in Alberta and are now found around the world. Preserving them in brandy makes for wonderful Christmas giving or delectable sipping later in the fall. 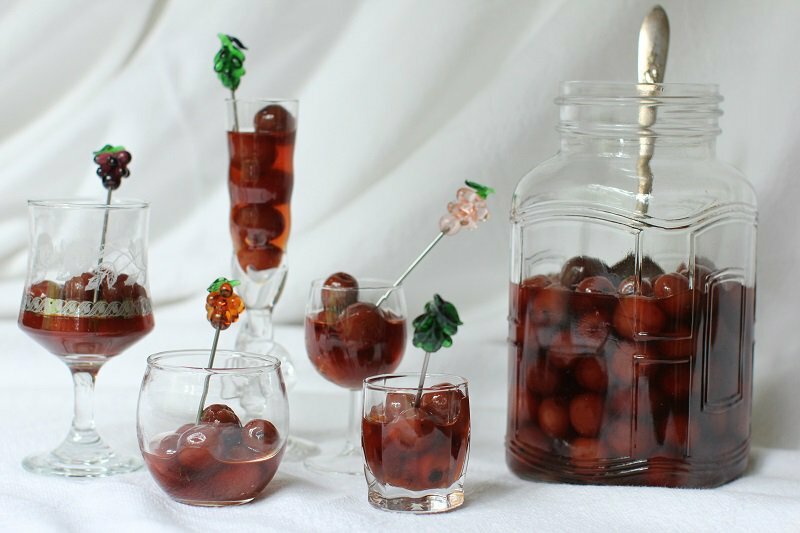 I wrote about the history of the Evans Cherry for my Regional Canadian food article for this project, and I also make a liqueur with them that I will definitely be comparing to this gorgeous concoction of Margaret’s. 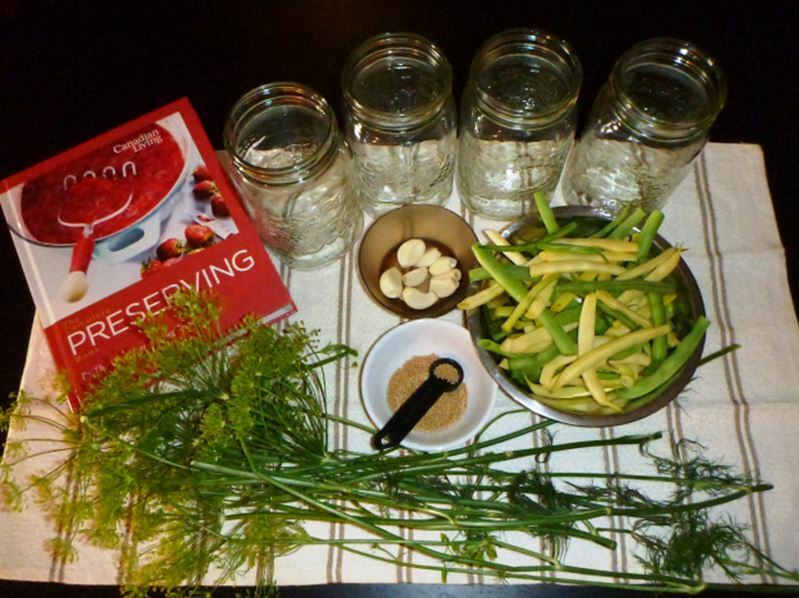 Shari Johnston at Tales From A Small Kitchen from Grande Prairie, Alberta, writes about her love of pickles and includes a favourite recipe that she makes each and every fall. 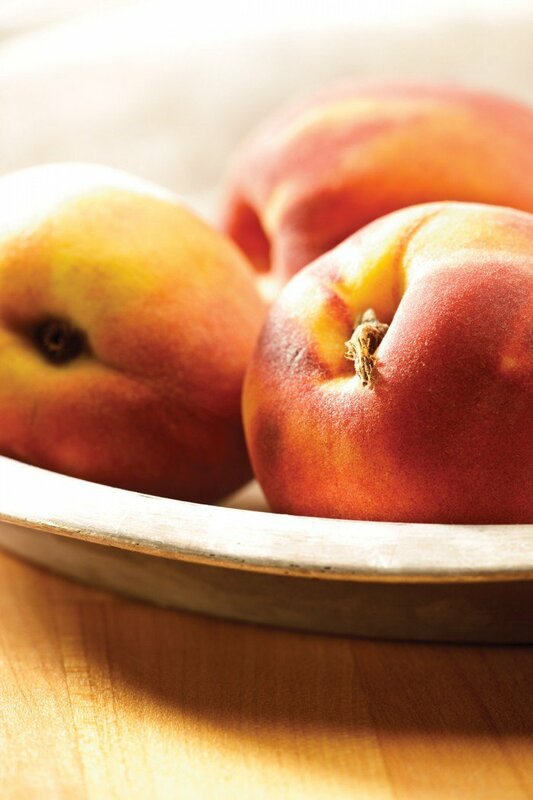 It’s hard to keep the pantry stocked with these gems as friends and family know where they are kept and tend to raid the stash when they visit. They’re also expected as gifts for birthdays and Christmas. Each fall, Shari makes dozens of jars to try and keep everyone happy all year long! 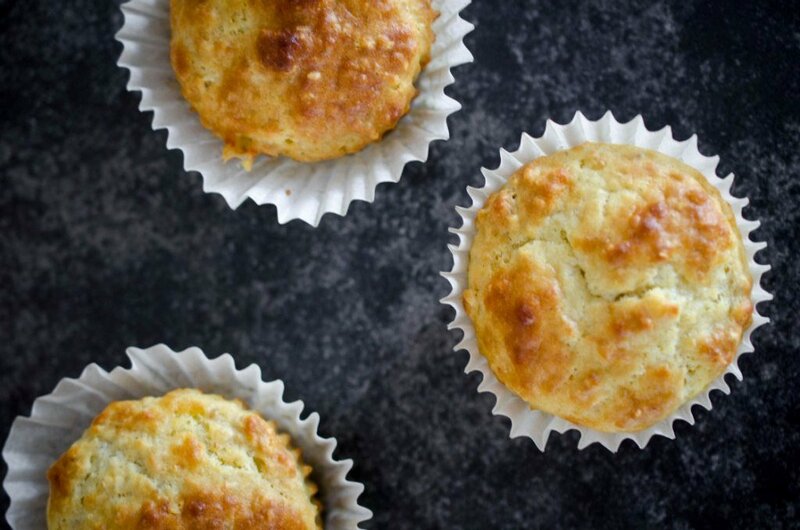 Michelle Peters – Jones at The Tiffen Box from Edmonton, Alberta, shares her mother-in-law’s recipe for these delicious, cheesy, bacony muffins. She also talks about her experience as an immigrant, and about the way in which multiculturalism has shaped Canadian food and life. 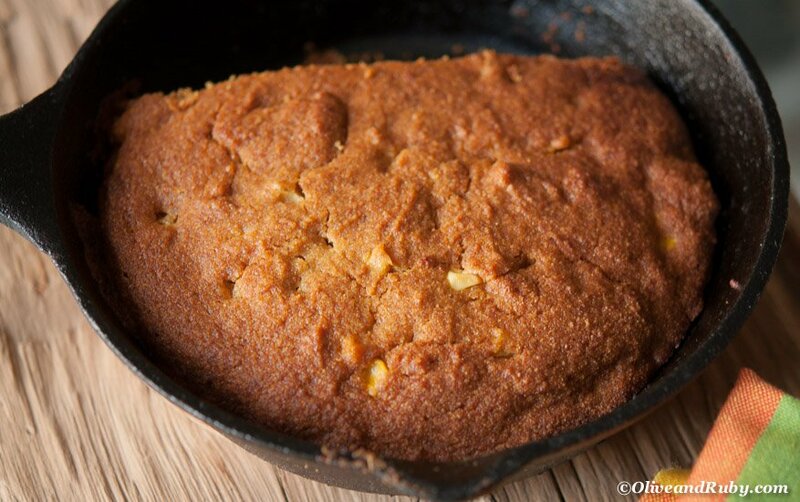 Rhonda at Olive and Ruby from Toronto, Ontario, offers up her most cherished recipe for Cornbread to share for this challenge. It seems that recipes for cornbread circle the globe similar to recipes for meat on a stick, food in a roll, and dumplings. I love them all. Isabelle des Gourmandises d’Isa, de Rawdon au Québec, nous présente une recette de pouding au citron, recette que sa belle-maman faisait il y a plus de 30 ans et qu’Isabelle a mis dans son livre Citron. C’est une recette très facile a faire, qui ne demande pas de connaissances particulière en pâtisserie. Ce pouding au citron a deux textures : une très crémeuse dans le fond du pot, et la seconde plus mousseuse, comme un soufflé. Elle a mis cette recette dans son livre afin que dans 30 ans, d’autres mamans fassent cette recette à leurs enfants. Isabelle at Gourmandises d’Isa from Rawdon Quebec, presents a recipe for lemon pudding that her stepmother shared with her over 30 years ago and Isabelle added to her popular cookbook Citron. 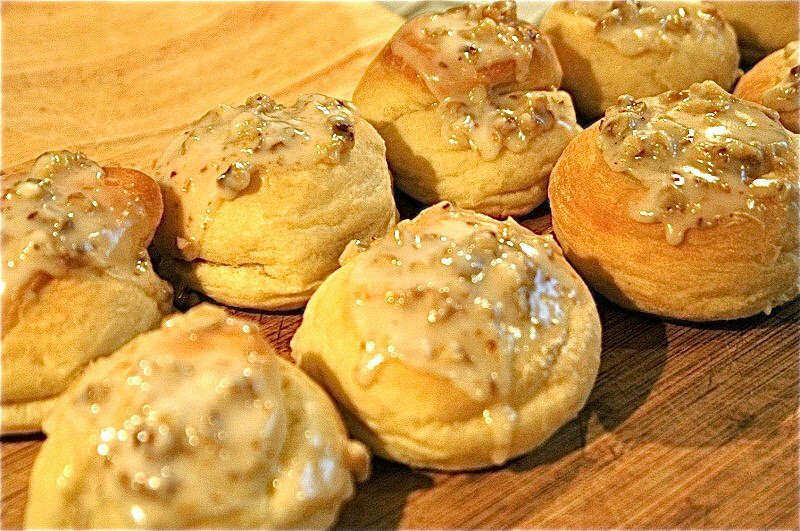 She says this is a very easy recipe to make that does not require special knowledge in pastry. 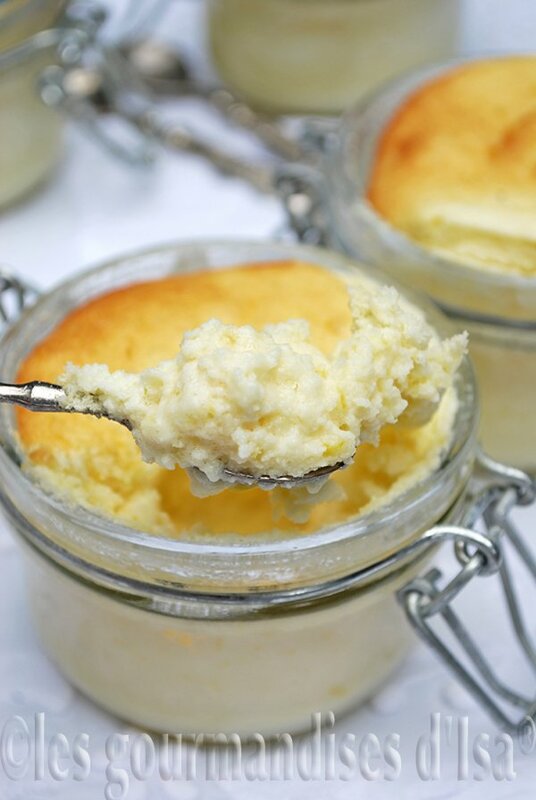 “This lemon pudding has two textures: a very creamy in the bottom of the pot, and the second most frothy, like a souffle.” It is her hope, that in 30 years, other moms will make this recipe for their children like her mother-in-law did for her son. 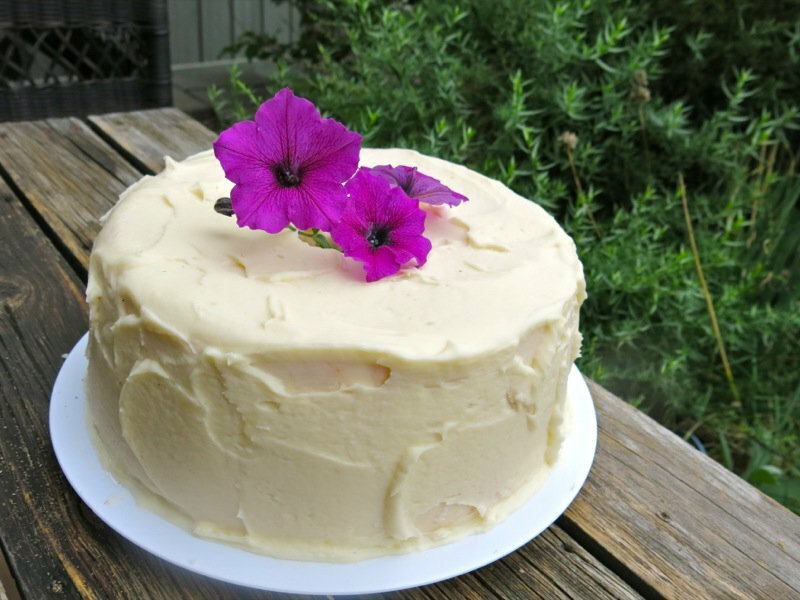 Barb at Just a Smidgen from Calgary, Alberta, writes about the family chocolate cake frosted with a thick layer of Sea Foam Icing. Of course, there were always coins wrapped in foil inserted throughout the cake to discover. This is the cake that was and is always made each and every birthday since I can remember and even before. My first cake would have been to celebrate my first birthday.. And before that my brother’s first. The quintessential Canadian Birthday Cake is clearly a 2 layered chocolate cake with either 7 minute frosting or fluffy chocolate frosting. 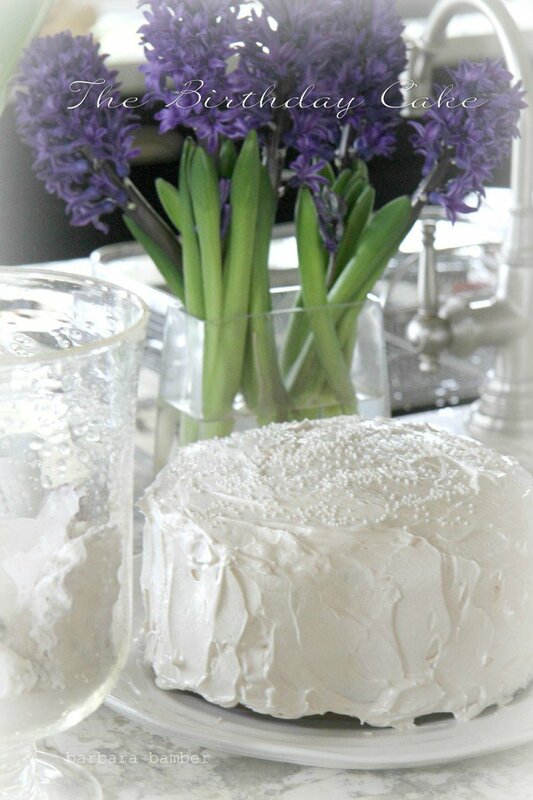 Barb shares her most cherished Birthday Cake recipe with us! 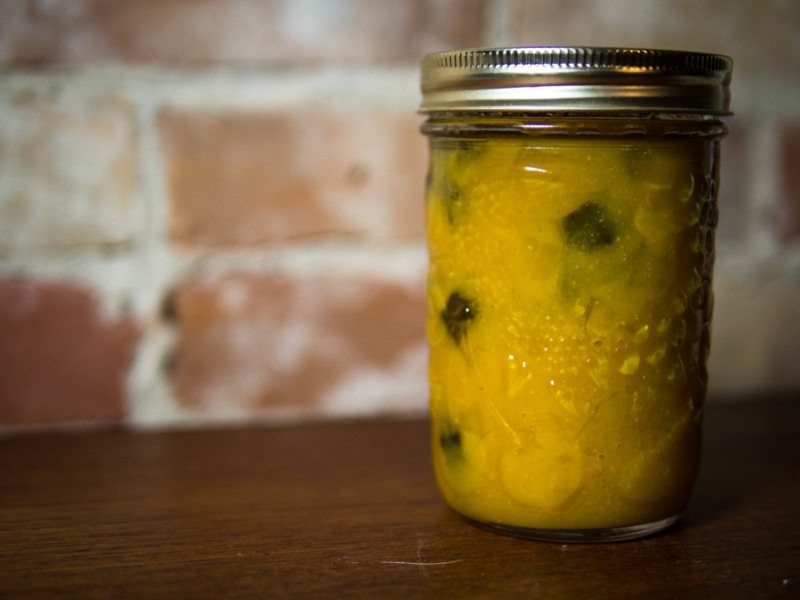 Joel at Well Preserved from Toronto, Ontario, shares his love for his favourite Canadian recipe in the world, Meme’s Mustard Pickles; and explains why he can’t share it with us. I don’t know about this. What do you all think? 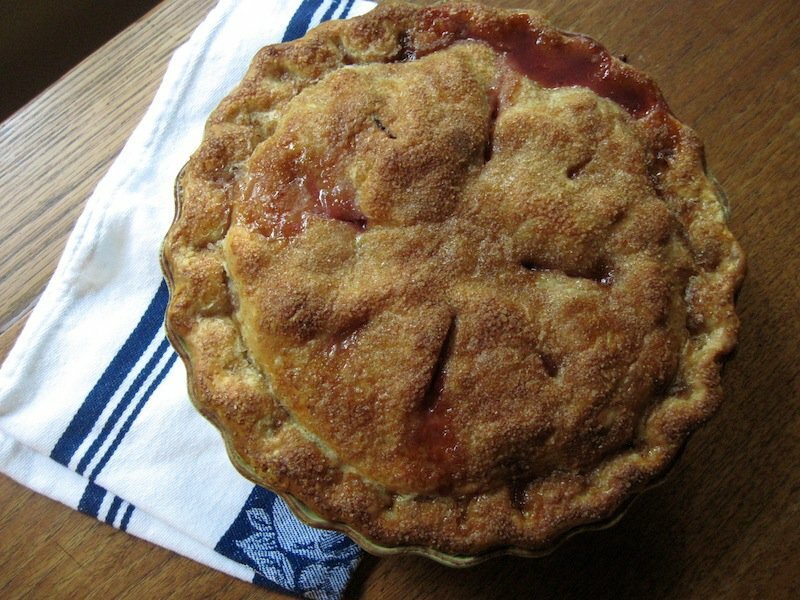 Karlynn at The Kitchen Magpie from Edmonton, Alberta, notes that her cherished Canadian recipe is the humble Flapper pie. 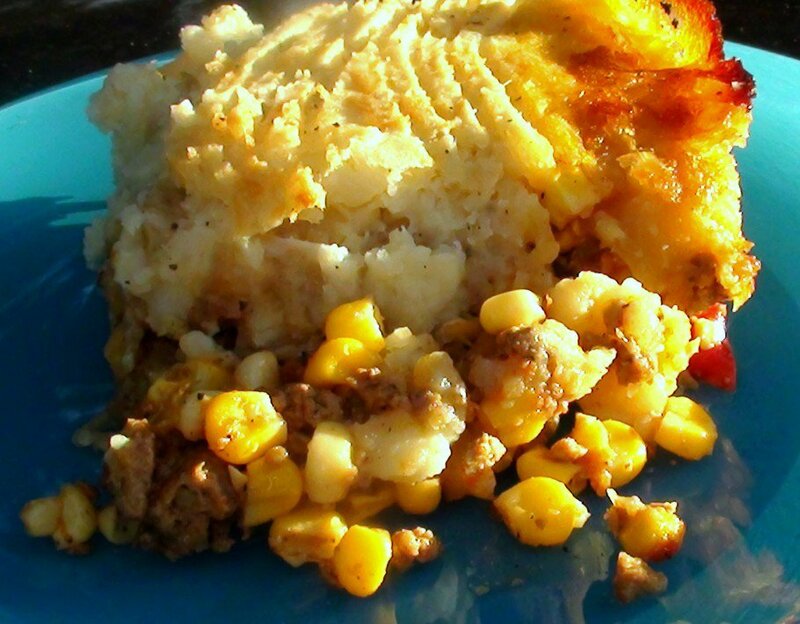 “A true Canadian prairie classic, this recipe is my most cherished because I recovered it from the family archives for my Mom, only to have my readers simply over the moon about reliving their favorite childhood pie. 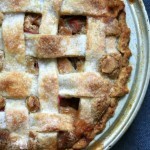 It’s a pie that brings back happy childhood memories for so many Canadian Prairie folks.” There is no doubt about this. My mom made it all of the time as it was a favourite of my dad. This is the second Flapper Pie in this collection, and would you believe I have never made it myself? That is about to change… very soon! 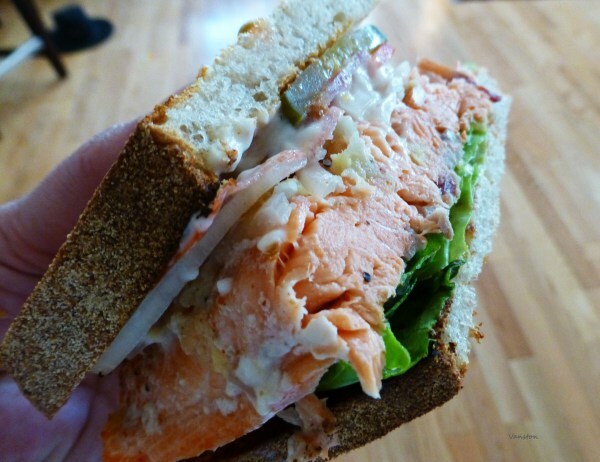 Deb at The Stewing Pot from has an unusual reason for identifying this delectable Salmon Sandwich as her most Cherished Canadian Food Recipe: she lost her husband this past year, and this was his ultimate pleasure. Made with fresh Coho Salmon hot from the oven, this toasted bacon salmon vegetable concoction would be a crowd pleaser. 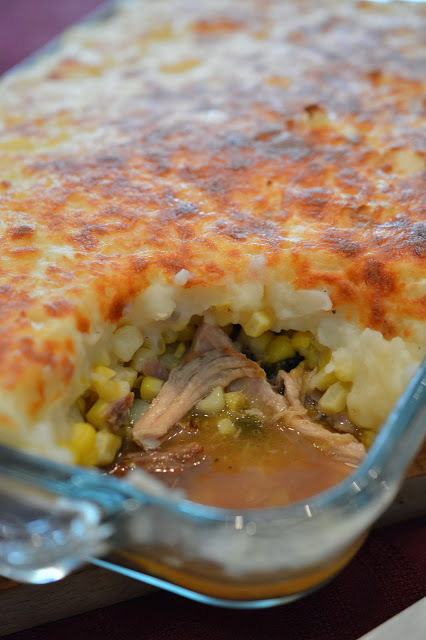 Jay preferred his cold and Deb will continue to find comfort in the connection she feels to her husband while making this cherished dish. 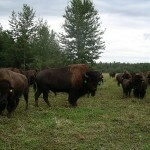 Redawna at Nutmeg Disrupted now in Barrhead, Alberta, takes a look at making Perishke. 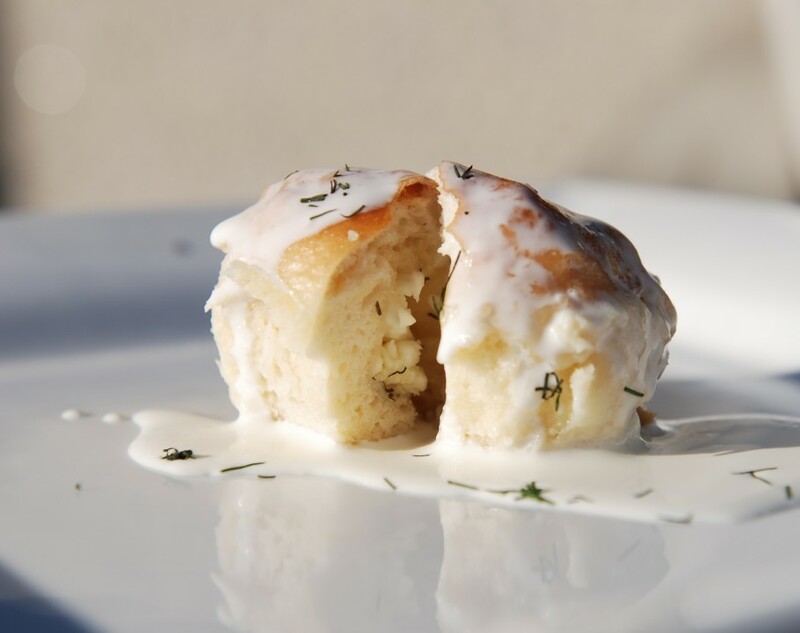 Perishke is still one of the most enjoyed Ukrainian dishes she prepares. “Perhaps because they do bring back such strong memories of when I was a child and first discovered them. They were the catalyst of what made me want to learn how to cook!” Now that is big. I am particularly excited about this recipe as there is a gal that sells them at the local market, but I could never find a recipe that was anything close to them. This looks like it is “the one”! 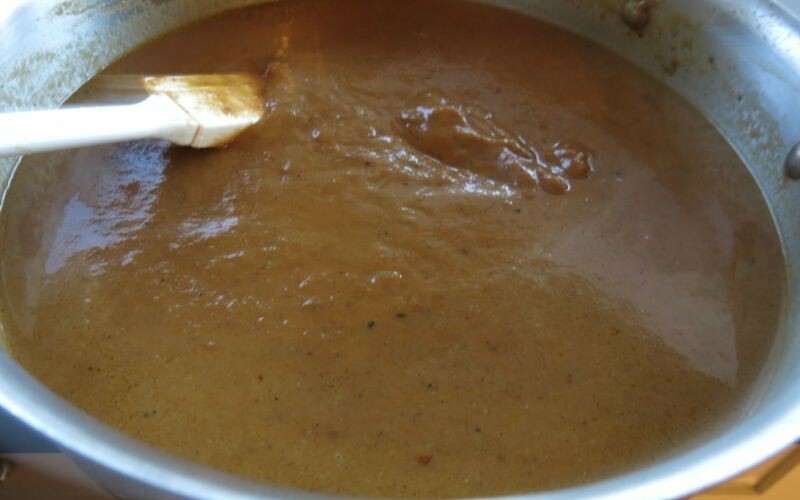 Bernice at Dish ‘n the Kitchen from Calgary, Alberta, shares a precious traditional family recipe called Herzog Goulash made with wild meat, such as goose, venison or moose. 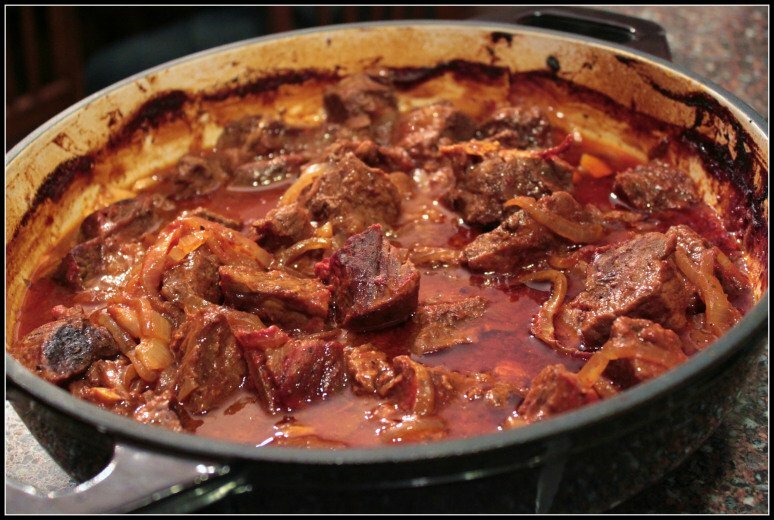 “Herzog Goulash is a dish that to me is the comfort of family and home…. Visits back to the farm [from University] were reserved for holidays and I always made sure to let …grandpa know I was coming home. It became tradition for him to thaw out the goulash meat …eventually I never even had to tell him I was coming. Coming home and goulash became synonymous.” What a gorgeous introduction to this dish. Deborah at Sustainable Slow Stylish an expat from Nova Scotia living in Edmonton, Alberta shares an 120-year-old soft molasses cookie recipe that has passed through generations of her husband’s Acadian family with her daughter and mother-in-law, and compared it with a similar recipe from her mother’s family. 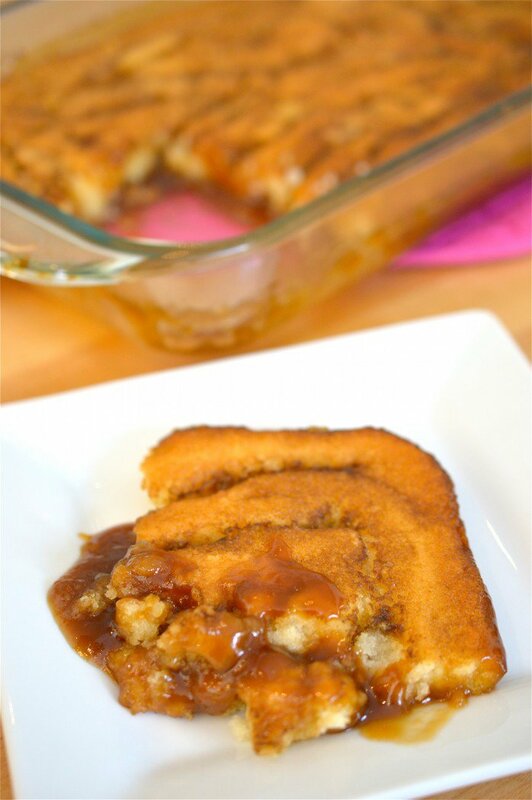 I cannot wait to make these and compare them with my Grandmother’s recipe. That is one of the many wonders that are evolving from this project. 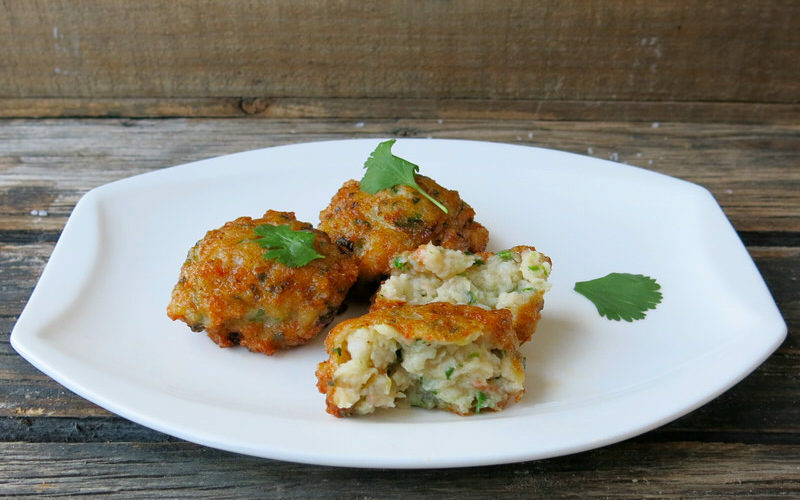 Access to cherished Canadian family recipes is the greatest gift I could ever receive. Lenore at Sand and Feathers from Vancouver, British Columbia shares a very unique and cherished recipe for West Coast Salmon. 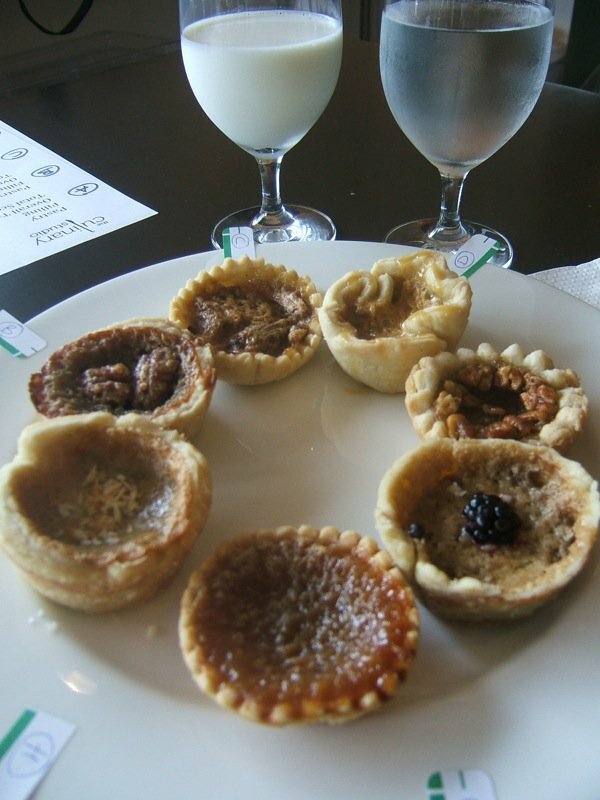 Julie at Parents Canada this month, from Calgary, Alberta, shares her most cherished Canadian food recipe: Grandma Woodall’s butter tarts. 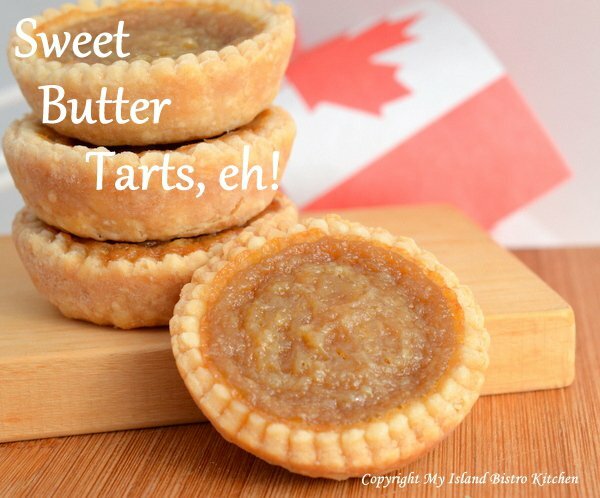 Of course, I had to read the recipe right away, as I believe my Grandmother’s butter tart recipe is the best in Canada. Now, there is an idea for a Tasting! Julie’s grandmother was definitely on the same page as mine. Both used currants for a “proper butter tart”. 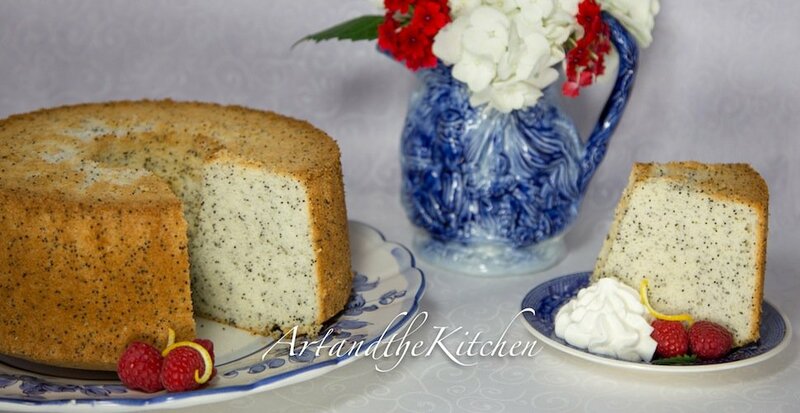 Laureen at Art and the Kitchen from St. Albert Alberta includes her mom’s special recipe for Chiffon Poppy Seed cake. Her mom would always make this cake, as well as an assortment of others for that one special woman’s party everyone loved to go to “back in the day”. Anyone remember what it is? You will have to pop over to Laureen’s post to see if you guessed it! Mallory at Because I Like Chocolate says “If there is one recipe that is cherished in my family, it is most definitely my Grandma’s pancake recipe. Yup, just plain old pancakes. 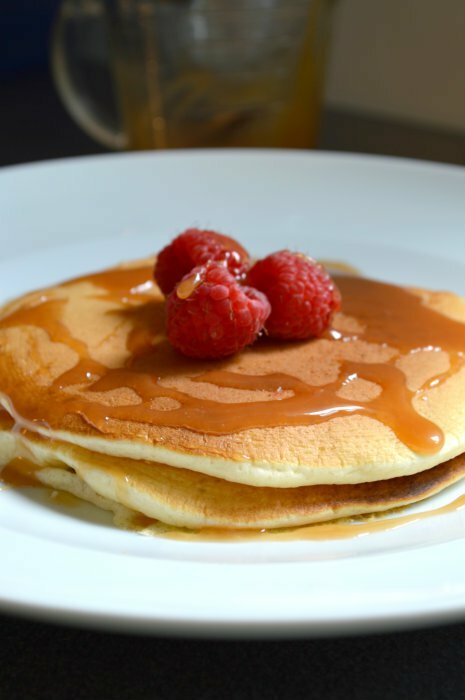 No fancy bananas, chocolate chips, coconut, ricotta, or whatever other new-fangled additions people are putting in pancakes nowadays.” She likes them clean and lean, plain and simple, singing the song of the prairies of the past. Grandma’s Pancakes. Brilliant. Isabelle à Les gourmandises d’Isa de Rawdon au Québec a pour dessert préféré Le pouding Chômeur. Selon la légende, ce dessert aurait vu le jour au cours de la crise économique des années 1930. À l’époque, Georgette Falardeau, femme de Camilien Houde, maire de Montréal, aurait imaginé ce dessert afin de permettre aux femmes d’ouvriers de réconforter, avec une bonne dose de cassonade, leur mari touché par les mises à pied. D’où son nom: pouding chômeur, ou pouding au chômeur, selon l’humeur. Composé d’ingrédients bon marché tels que la farine, de la graisse, du lait et de la cassonade (beaucoup moins chère que le sucre, à l’époque), ce dessert aurait alors connu une popularité fulgurante dans les quartiers populaires de la métropole avant de se répandre, avec du sirop d’érable quand les beaux jours seraient alors revenus, sur l’ensemble du territoire et dans toutes les strates de la société. Isabelle’s at Les gourmandises d’Isa from Rawdon, Quebec, for favorite dessert Pudding Chômeur or Poor Man’s Pudding. According to legend, this dessert would have been born during the economic crisis of the 1930’s. 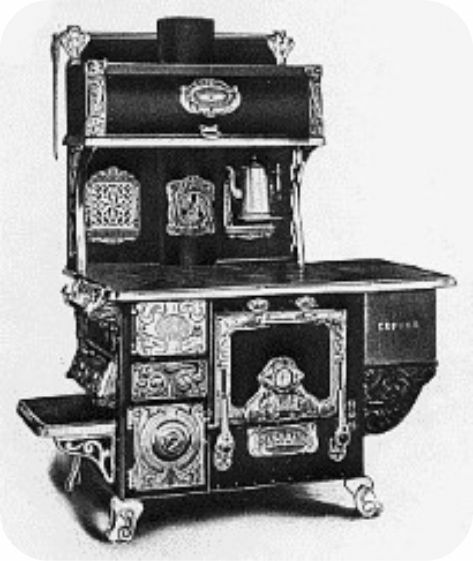 At the time, Georgette Falardeau, the wife of Camilien Houde, mayor of Montreal, imagined that with a good dose of sugar, their newly unemployed husbands would find some comfort. Hence its name: Poor Man’s Pudding. Created with of economical ingredients such as flour, fat, milk and brown sugar (much cheaper than white sugar at the time), this dessert would have enjoyed a meteoric popularity in well populated areas of the city before it gained popularity throughout the entire province. Now, with maple syrup, as prosperous and sunny days have returned to the territory and all strata of society. This is a pudding I have heard so much about and cannot wait to make myself as clearly, it must be delicious to have lived on past the depression years. Lili at Lili Poppotte from Québec has also selected Pudding Chômeur or Poor Man’s Pudding as her most cherished Canadian food recipe. It is so interesting to see the difference between these tried and true cherished family recipes. She says that this pudding has been a Quebec specialty for several years and part of the province’s history is baked into this traditional comfort food. Lili at Lili Poppotte the Mauricie, Quebec, also chose Pate Chinese classic that appeals to all Quebec for generations to make a version 100% Quebec I believe that to maintain our Canadian cuisine First of all you must cook the products from your region in Canada. Lili à Lili Poppotte du Mauricie, Québec, a également choisi Le Pâté Chinois un classique qui plaît à tous les québécois depuis des générations pour en faire une version 100% québécoise. Je crois que pour conserver notre cuisine Canadienne, il faut tout dabord cuisiner les produits de chez nous. Barbara at My Island Bistro Kitchen from Charlottetown, Prince Edward Island usually writes about local Prince Edward Island food and beverages, producers, and culinary events. 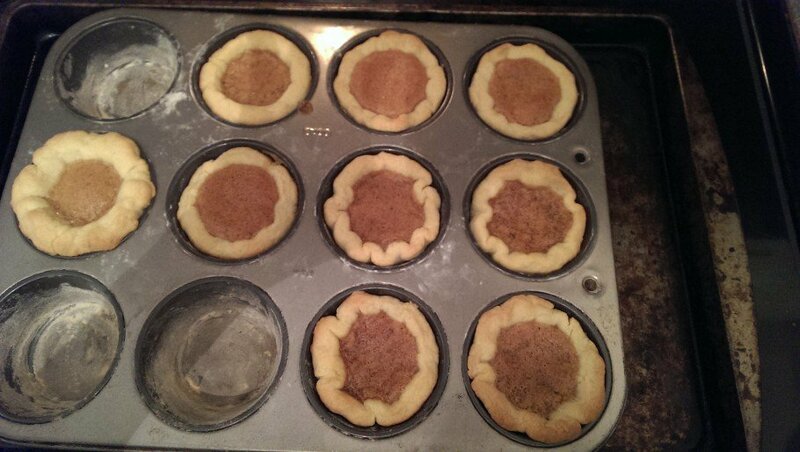 In this posting, she shares her Canadian heritage recipe for butter tarts made with Canadian maple syrup. Christine at Manning Canning from Scarborough, Ontario, is an avid Canadian Preserver from Scaroborough, Ontario and makes our mouths water while she explores what makes a recipe truly Canadian. 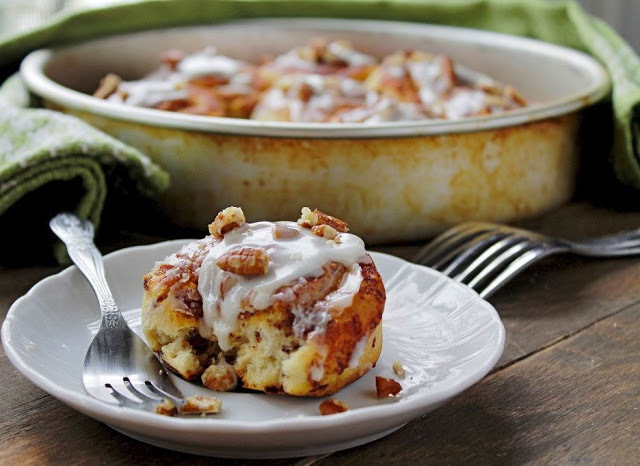 She shares with us her families recipe for Butterhorns. “This month’s topic was a great one. As I sat down to think about my favourite recipe, my mouth began to water. 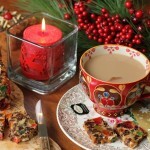 I can’t wait to read the round up and try some of the fabulous recipes that get shared.” she wrote. I have to add, that when I saw Christine’s topic, I could not sit still! I had forgotten completely about my favourite treat when I was on a road trip with my dad: a toasted butterhorn with butter. There was nothing more scrumptious and they could only be found at roadside cafes when I was young. 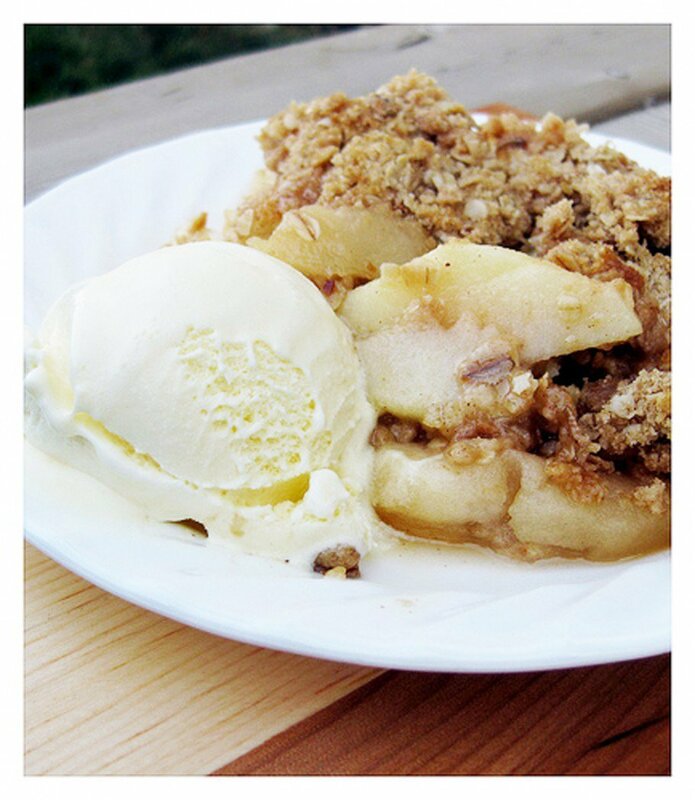 I will most definitely be making this recipe, then toasting one, slathering it with butter and serving it up to my dad. I wonder if he will remember how much I loved this treat and that time with him. Please help me welcome yet another new participant to The Canadian Food Experience Project, Jessica at Jessica InsideOut from Ottawa, Ontario. She has already written the first challenge article and had it added to that round up. 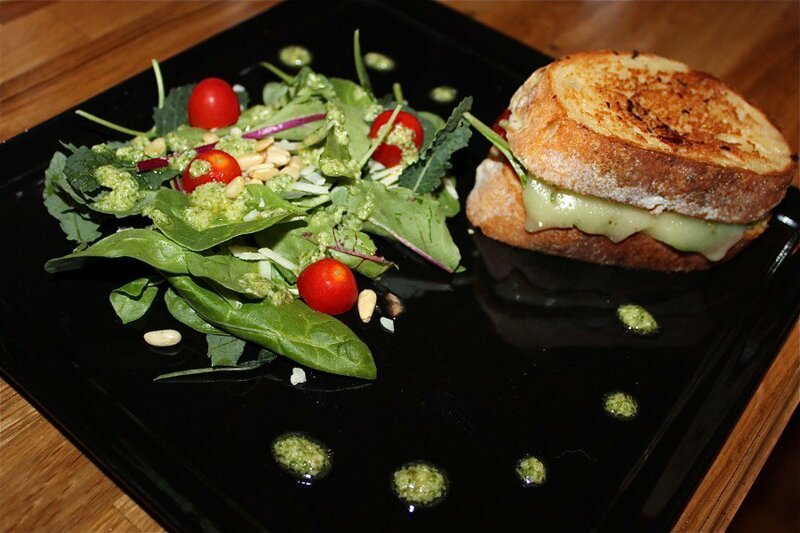 This month, she combined childhood memories and adult flavours and shared her personal evolution of her favourite sandwich: the grilled cheese. 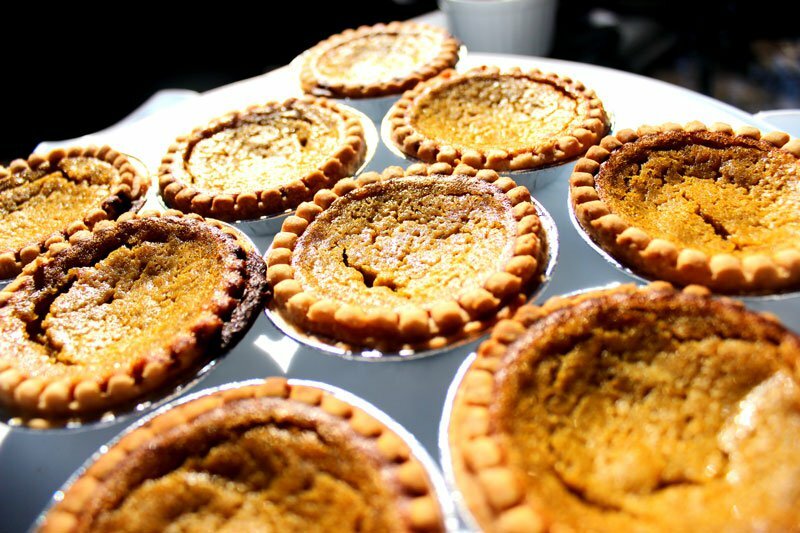 Mimi from Ajax, Ontario at Tummy Grumbles writes about “The Humble Butter Tart” and why they mean so much to her. 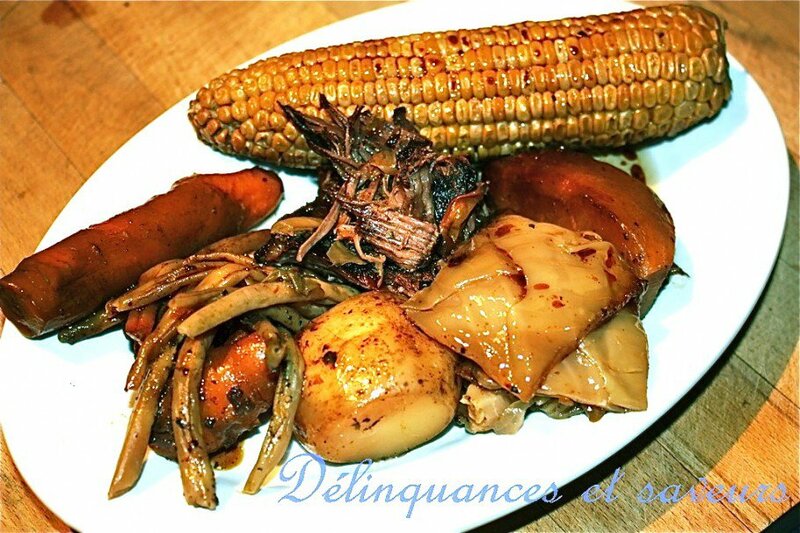 Nathalie at Délinquances et saveurs from Shefford Québec writes about boiled beef has her most cherished Canadian food recipe. 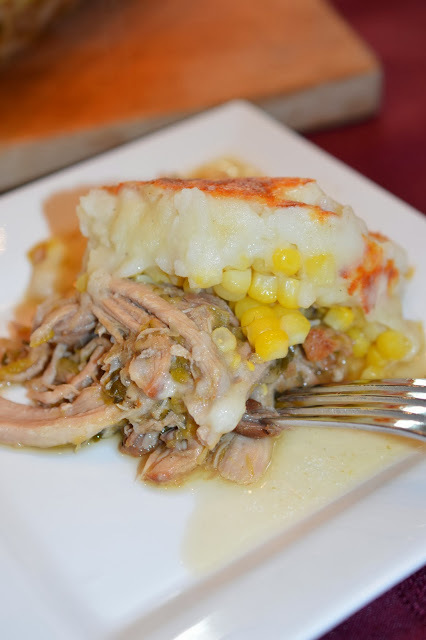 ” It is a staple in the Quebec kitchen, deliciously simple and packed full of meaty flavor! Nathalie à Délinquances et saveurs de Shefford Québec écrit boeuf bouilli sur a sa recette alimentaire canadien le plus cher. Le bouilli de boeuf est un incontournable dans la cuisine québécoise, d’une simplicité étonnante, la saveur n’en est pas moins au rendez-vous! 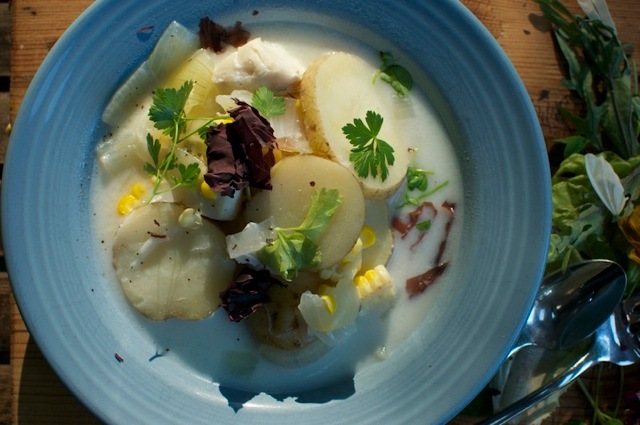 Laura at Cubit’s Organic Living from Toronto, Ontario shares her East Coast family’s fish chowder recipe which I cannot wait to try. There is nothing like a tried and true family favourite to give me confidence in the kitchen. Thank you, Laura! Lindsey at The Kitchen Witch from Ladysmith, British Columbia, on Vancouver Island submits Paté Chinois as her most cherished Canadian recipe this month. 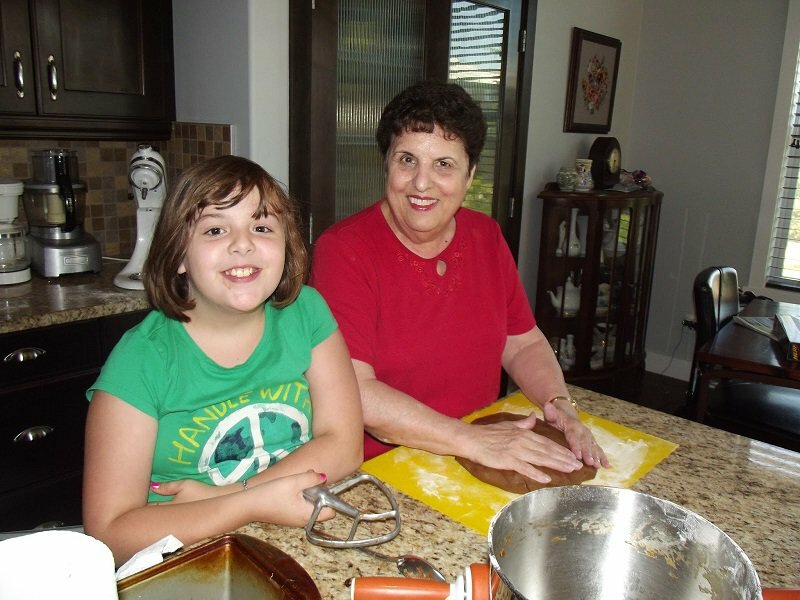 Liliana at My Cookbook Addiction from Ontario, was raised by Italian parents and her Mom only cooked Italian food. When she began baking at a young age, she discovered what would become her treasured Canadian food recipe, in the Food Section of a newspaper, published many, many years ago: Sponge Cake with Orange Glaze. This was one of my grandmother, Maude’s, favourite cakes, too! 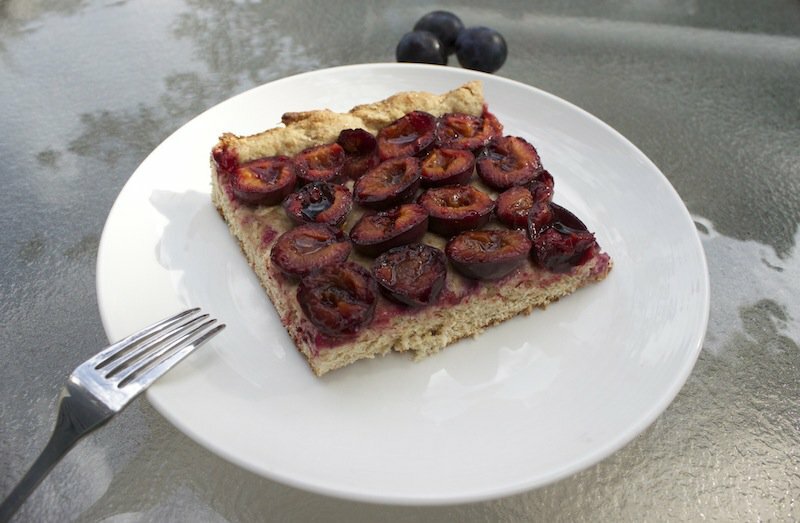 Kathryne at Food Musings from Winnipeg, Manitoba is a descendent of ” a little Polish lady named Felicia who immigrated to southern Saskatchewan and concocted the most amazing recipes on her old wood stove.” Grandma Felicia’s Polish Cake is surely a Canadian treasure. 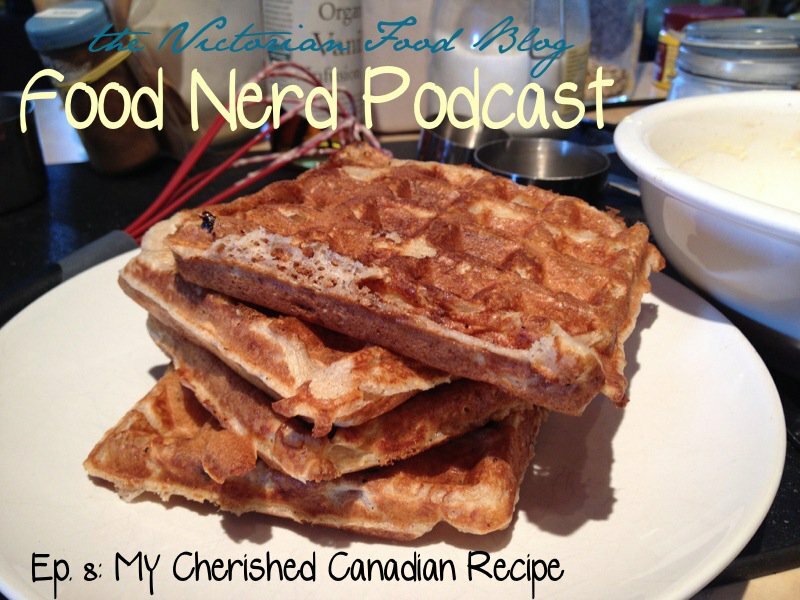 Jen at The Victorian Food Blog from Victoria, British Columbia, has prepared The Food Nerd Podcast Episode 8: My Cherished Canadian Recipe. Jen recorded a cooking episode and made delicious red fife waffles. this month’s challenge had her pondering. It didn’t take her long to figure out the delicious answers to those questions thanks to her go-to family recipe collection. I hope she shares more of these throughout this project! 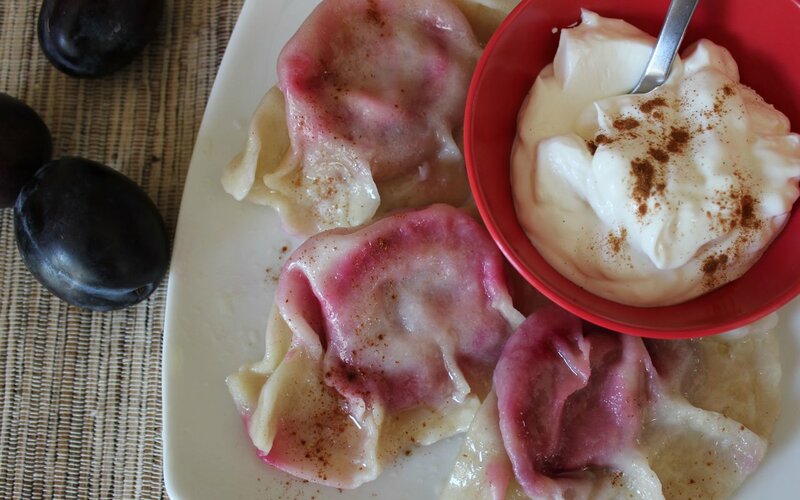 Wanda at Bakers Beans in Calgary, Alberta, writes about her cherished memories of making plum pierogies with her mother as a young child once the prune plums on their trees were ripe and reading for picking. Emily at Emily Richards Cooks from Guelph, Ontario explores the difficulty of discovering her most cherished Canadian food recipe growing up in a Canadian Italian household. 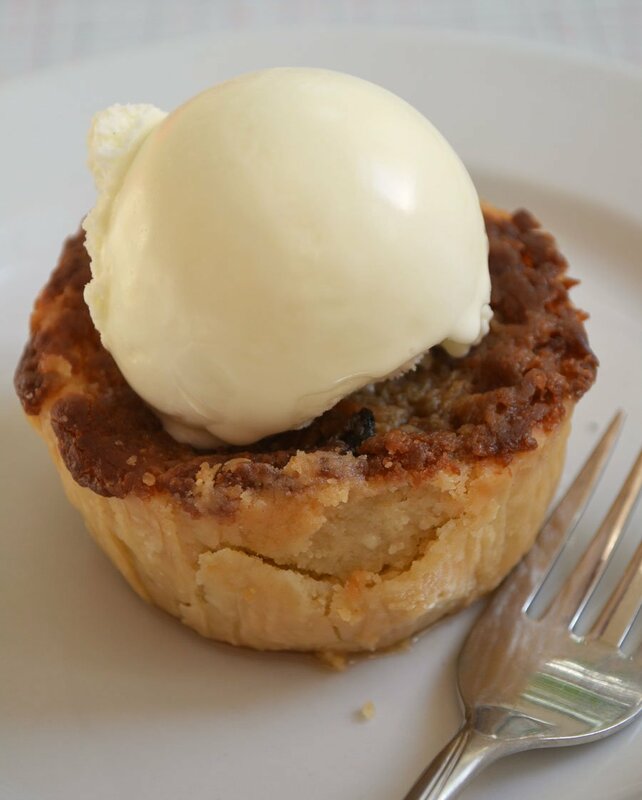 Working at Canadian Living is where she was introduced to the butter tart, and it has been a no-fail “tested til perfect” recipe she now makes at home. Clearly, she has had a butter tart tasting, and that is a new goal of mine for this Christmas. Be prepared, dear friends that bake! 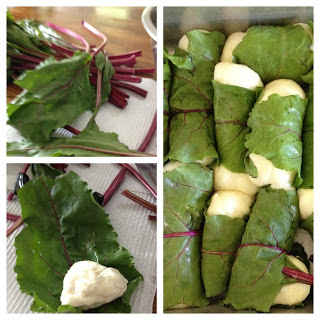 Marilyn at Here and There from Calgary Alberta, includes two of her cherished Canadian recipes: Chicken Pie and Beet Rolls! I love that her pie appears to be crustless. 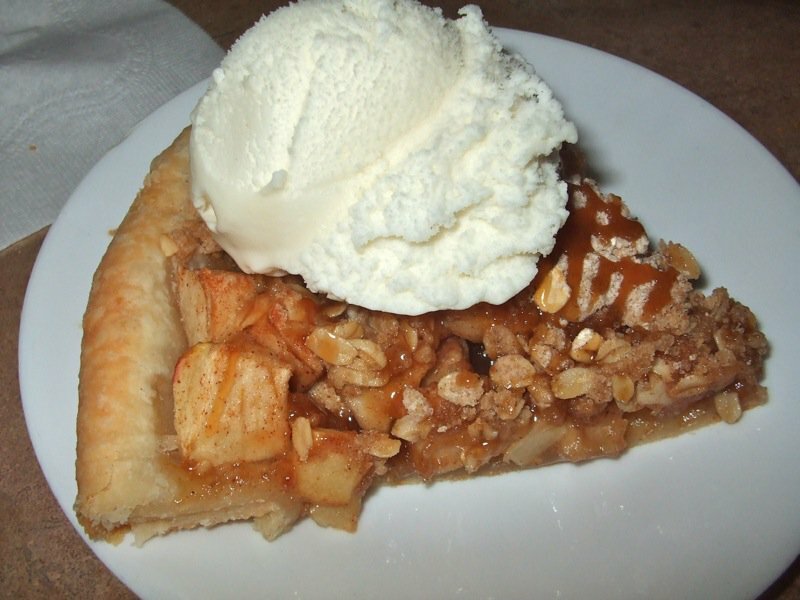 Gisèle at Le Casseroles de GG from New Brunswick chooses a novel Canadian recipe this month: Apple Crisp Pizza. Oh, my. Doesn’t it look scrumptious? Gisèle dans Le Casseroles de GG du Nouveau-Brunswick choisit une nouvelle recette du Canada ce mois-ci: pizza croustade aux pommes. Oh, mon. N’est-il pas l’air délicieux? Carole at The Yum Yum Factor from Toronto, Ontario, asks, “What can be more comforting than hot, crispy potato, soft, chewy cheese curds and a velvety, tangy chicken veloute?” If you ask people from other countries to name a Canadian food, it is surprising how many people will answer with “poutine”. Carole believes it has almost become our national dish and it’s most definitely one of her very favourite foods. Nadia Helal at Jungle Foods from Montreal, Quebec, celebrates her simple but tricky banana bread. 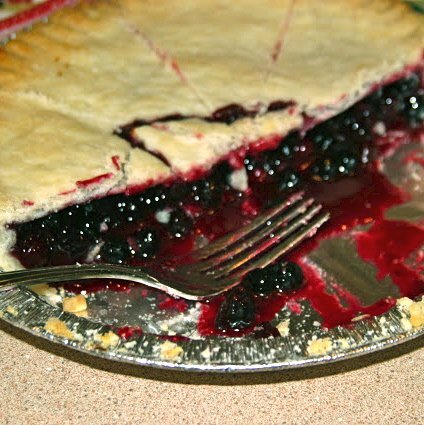 Sarah at All Our Fingers in the Pie from Swift Current, Saskatchewan has written about another of my cherished Canadian food recipes: the Saskatoon Berry Pie. “The recipe for the perfect Saskatoon Berry Pie has been [quite a quest], but I think I have it!” Sarah exclaims. I can see how determining the perfect recipe is an ongoing quest when it comes to the quintessential Canadian version of a specific Canadian food recipe. 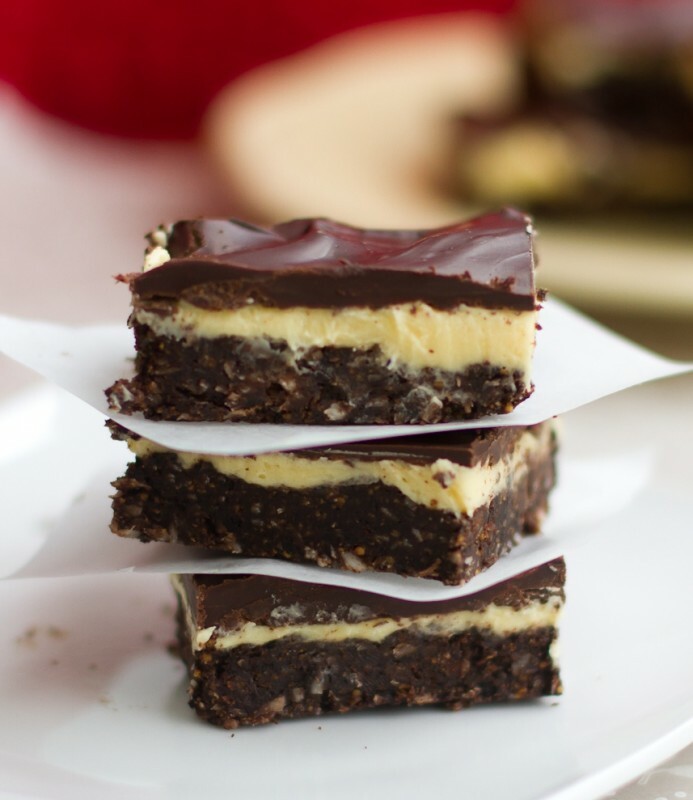 Anna at Hidden Ponies from Abbotsford, British Columbia, cherished the famous Canadian Nanaimo Bar, a recipe originating from her beautiful home province, British Columbia. 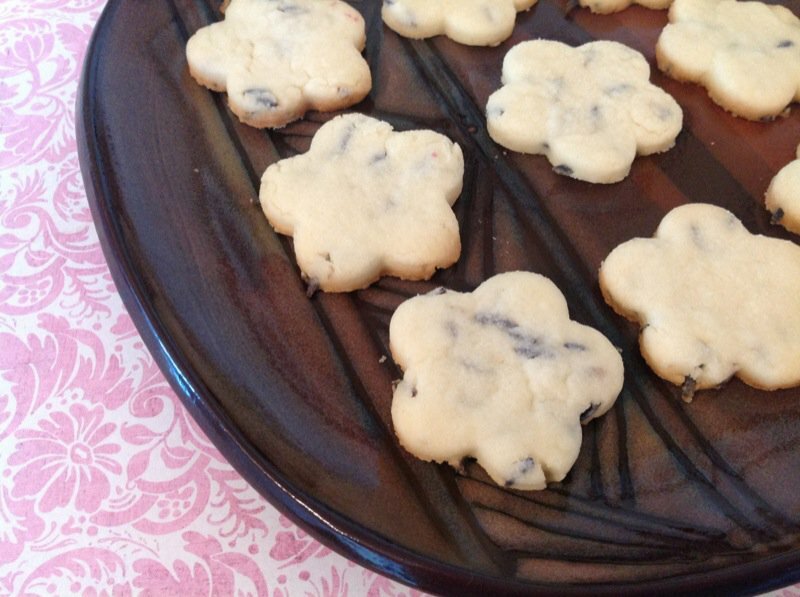 It is her mom’s recipe that has stood the test of time and is better than any other she has tasted: “It is always the first thing to disappear from any baking platter.” is enough to have me scoot over to her sight to test her family recipe. We have over 90 participants in the project to date. If you are not participating in The Canadian Food Experience Project, but you do have a Cherished Canadian Recipe, please share it with all in the comments, below! As always so much heart and soul has gone into each of these posts. It will be fun to read through every one. How fun to see everyone’s favorite recipes. 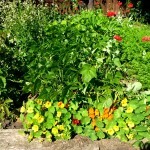 Great ideas and some recipes I’ve never seen before. Fun! So many great recipes I need to try! Gosh! What a beautiful post. And what an amazing collection of family recipes. Wow everything looks so good! I can’t wait to sit down and read everyone’s posts over the weekend. I just finished reading and commenting on every one of the challenge four posts. What an incredible round up. Some of the stories are truly mesmerizing. Many participants continue to express confusion about what Canadian food is, yet many are drawing conclusions and writing about their thinking about it in an openly and engagingly. Lots of food for thought and many recipes now tucked away in my “to make” pile. 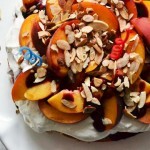 These all look amazing – and I love the birthday cake, what a perfect food memory to choose! So glad you have joined us, Anna! Thrilled!